Bluetooth is a technology that allows you to connect different devices wirelessly. It is often used to connect your phone to your car so you can listen to music and make calls through the stereo. There are many other uses too. For example, it can also be used to create a keyless lock system so you can simply click a button on your phone and get access to your car. This may seem unnecessary, but if you’re walking up to your car holding your phone, you don’t even need to reach in your pocket for keys. You can just use the Bluetooth lock system to unlock it with your phone. 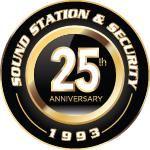 Sound Station and Security has installed this Bluetooth lock/unlock access control system in many vehicles. If you’re interested in it for your car, let us know and we can talk you through some options.